Blank Page Muse: Caution! Beware of Spiders ahead...Fabulous card design by Pam Bray! Caution! Beware of Spiders ahead...Fabulous card design by Pam Bray! 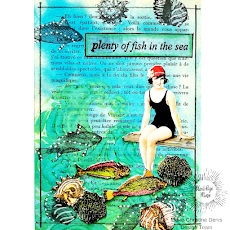 Pam Bray is having way too much fun making stunning card with her dynamite new stamps! Enjoy the first one reposted here from her blog, the card is called Caution! 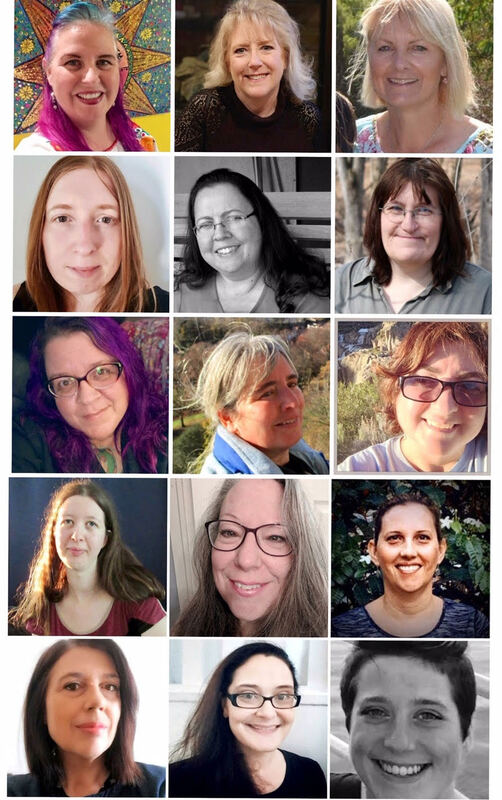 Thanks so much Pam! 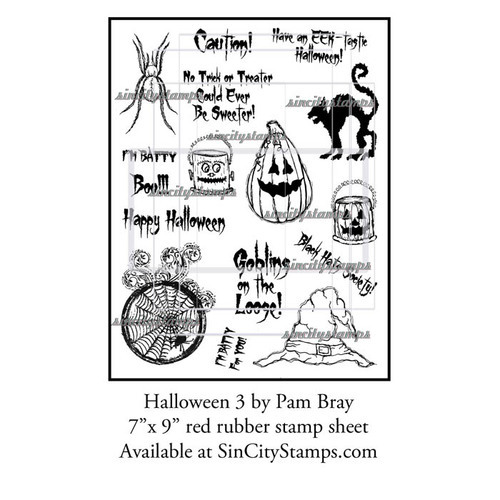 I am so excited to share my latest HALLOWEEN stamps from Sin City Stamps. Begin your 5" x 7" card by adhering Authentique Bewitched Collection kit pattern paper to top of card using a Xyron Tape Runner. 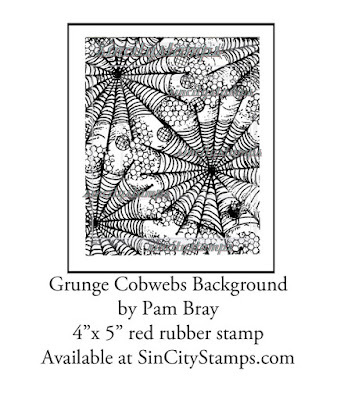 Stamp the Grunge Cobweb Background Stamp to pattern paper, ink edges with Wild Honey Distress Ink. Mat to card stock; add to top of card front with Xyron Tape Runner. Stamp spider from Sin City Stamps Halloween # 3 Stamp Set with black ink; color with markers. Adhere to card stock mats. Stamp "Caution" to pattern paper with black ink; mat to card stock. Add ribbon bow to front of card. I really hope you love my stamps from Sin City Stamps as much as I do!! !